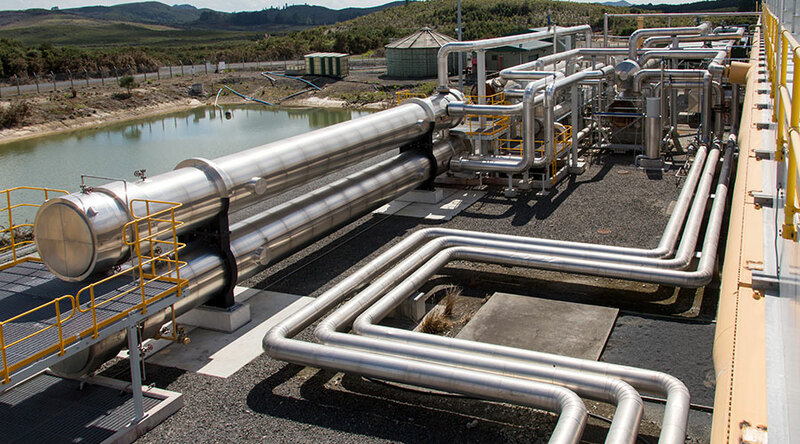 It’s full steam ahead for the expansion of the Ngawha geothermal power station following major transaction approval from the Top Energy Consumer Trust and Top Energy Board. Top Energy Chief Executive Russell Shaw says this was the final hurdle the company had to pass to commit to a construction programme to expand the station to 53MW by June 2021. Bank funding has been secured for an estimated total project cost of $175million. The company is keen to retain local ownership by using bank funding. While constraining the company’s capital expenditure in the short term the investment will ensure benefits from this project are retained for the people of the Far North. Mr Shaw says with the major transaction approvals, Ngawha Generation Ltd can get the construction programme fully underway. Initial tenders for civil works have been awarded with some construction activity already underway on the Ngawha site; well drilling will start in early 2018. Mr Shaw says by September 2018 the company will confirm whether there is a viable geothermal resource to support the expansion. Once this is clear, he says, “we expect to finalise the contracts for the transmission connection, the supply of the station and the fluid conveyance system, to be on target for a 2021 commissioning”. Mr Shaw says it has been a long and convoluted road to get to a point where the company is confident the project will be able to proceed. Resource consents for a period of 35 years granted in July 2017 provide the certainty to support the major investment required. Mr Shaw describes the expansion of the geothermal power station as one of the most significant projects to be undertaken in the Far North, which could ultimately secure the region’s energy independence.